IS IT EVER TOO LATE TO SEE THE TRUTH? Motherhood is tough. But then, so is daughterhood. When we first meet Claire, she’s living in Sedona, Arizona with her boyfriend Cal and ducking calls from her mother. 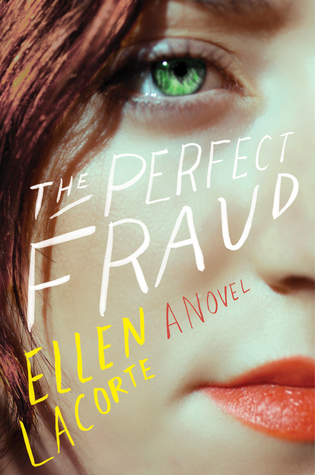 Her mom is a world-class psychic on the East Coast and Claire doesn’t want her to discover the truth. Claire works in the family business and calls herself a psychic, but she doesn’t really have “the gift” and hasn’t for a long time. She’s a fraud. Meanwhile, on the other side of the country, Rena, a young mother, has family issues of her own. She’s divorced and her four-year-old daughter, Stephanie, suffers from mysterious, seemingly incurable stomach problems. No matter how many specialists Rena drags her to, no matter how many mommy-blog posts she makes about her child’s health issues, trying to get help and support from her online community, Stephanie only gets sicker. When Claire and Rena meet by chance on an airplane, their carefully constructed lives begin to explode. Can these two women help each other and can they help Stephanie before it’s too late? About the author: Ellen LaCorte worked for many years in HR. She now writes full time from her home where she lives with her husband in Titusville, New Jersey. She is the mother of two grown sons.